Egypt is still in the very early stages of transition, but if it can establish political stability, its economy should grow strongly over the coming years. If confidence really is the key to growth and prosperity, Egypt appears to be well placed. A major opinion poll taken in April by Pew Global Attitudes Project found that despite all the upheavals and uncertainty of recent months, some 65% of Egyptians were satisfied with “the way things are going,” compared with just 28% in April 2010. That wasn’t all: Some 54% say they want democracy even at the risk of greater instability, while the military, which continues to play a key role in enabling the Arab Spring to flourish, gets an 88% approval rating. The Egyptians’ sanguinity seems all the more remarkable when one considers what they have been through. After 30 stifling years of one-party rule by Hosni Mubarak’s National Democracy Party (NDP) and nearly 60 years of statist control—since Gamal Abdel Nasser’s 1952 overthrow of the monarchy—Egyptians have emerged blinking into the sunlight, in charge of their destiny for the first time most have ever known. 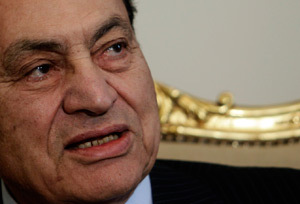 They have seen off Mubarak, who along with many of his associates now faces trial; they have witnessed the closure of the NDP and have voted in the March 19 referendum for major constitutional amendments and parliamentary and presidential elections in September and November. 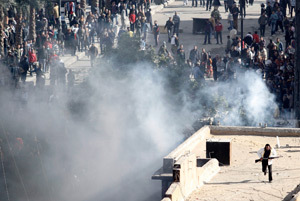 Although strikes and some unrest remain a concern, the focus has now switched to the economic consequences of the Arab Spring. Observers agree that although the full picture is still emerging, these are already quite severe. Ratings agency Moody’s has downgraded Egypt twice since demonstrations started back in January, currently rating it at Ba3 with a negative outlook for foreign and local currency bonds. Fitch has downgraded Egypt’s long-term foreign currency issuer default rating to BB, placing it on Rating Watch Negative. Investors had to sit by nervously while the Cairo Stock Exchange remained closed for 39 days over February-March. The index so far is down roughly 20% since demonstrations started back in January. And a survey released by Crédit Agricole in May suggested receipts from tourism could drop from 5.3% of GDP in 2009–2010 to just 2% of GDP, which would have a strong impact on growth and the country’s balance of payments. “The economy is now very fragile. Consumer confidence is weak and investment, low—with little or no new foreign direct investment—while tourism, in recent years a key sector for the economy, is badly hit with few signs people are prepared to start visiting in large numbers again,” says Dina Ahmad, emerging markets analyst at BNP Paribas. Karim Helal, chairman of Giza-based CI Capital Investment Banking, echoes this, suggesting that the short-term outlook is pretty bleak. “This year will see significant contraction, widening budget and current account deficits, a sharp decline in foreign receipts, production under pressure and consumer confidence low: The road ahead will be bumpy,” he says, adding that this will end only once there is political clarity, which could take at least a year. In the meantime, however, the government—or rather the central bank, which pending the elections is largely responsible for economic policy—must grapple with some nasty realities, including an inflation rate of around 12%. Although wage rises and commodity price increases have played a role, so too has food inflation, which is highly concerning for a country where over 40% of people live on less than $2 a day. Another headache is the budget deficit, which historically has always been a concern but is especially so now, as it’s heading toward 12%. Although Cairo has said reducing the deficit will be a priority, this will be hard to do: Much of the typical annual £17 billion deficit reflects food subsidies, which this year—given rising food prices and the new political realties—will be harder than ever to reduce. However, analysts generally agree that despite foreign investors’ staying away and with the country’s hopes focusing on an IMF package set to materialize later this year, Egypt so far doesn’t seem to be facing any serious funding crisis—despite a $6 billion drop in foreign reserves to around $30 billion over the first quarter, and down from some $46 billion last September. Receipts from the Suez Canal remain high, and although there was a loss in expatriate remittance income from Egyptians who had been working in Libya, remittances remain strong from Egyptians in other countries in the Middle East. “Although over time Cairo will need to demonstrate she can run a tight fiscal ship, international goodwill, particularly from the Gulf, should mean things are okay in the short term,” says Richard Fox, a North Africa analyst at Fitch Ratings. Egypt’s biggest concern is growth. Over the first quarter of 2011, GDP contracted by 7%—much worse than expected—thanks in no small part to an 80% slump in tourism earnings in February, traditionally a good month. Although full-year figures will not look so bad because Egypt calculates on a fiscal year basis—July to July—and growth was strong last calendar year, full-year GDP growth won’t be much more than 2% with some observers, including the IMF, suggesting it could drop to as low as 1%. This for an economy accustomed to annual rates of at least 5% to 6%. “The irony is that the ongoing political changes will do nothing to help what prompted the demand for change in the first place—the need for faster growth and better average living standards,” says Fox. He argues that, as well as being hit by the general downturn in confidence, private sector activity will also decline because many large companies are being investigated for corruption and their close links to the NDP. Fortunately, sectors such as agriculture, food processing, telecoms and—following some recent gas discoveries—oil and gas have all been largely unaffected. There is also the widespread feeling that once stability returns, investors will be drawn to the new Egypt, making for an encouraging medium- and long-term outlook. Investors will be watching any legal or institutional changes closely. “Although there will have to be a lot of changes, this isn’t Eastern Europe in 1989. Egypt is not starting from scratch, and many of the reforms undertaken by the last government will stand the economy in good stead,” says Said Hirsh, Middle East economist at Capital Economics, who says the key to recovery remains a revival in confidence. "Although there will have to be a lot of changes, this isn’t Eastern Europe in 1989"
The country’s recovery may be helped by the fact that Egypt’s banks have so far withstood the upheaval admirably. Credit should go the central bank, which encouraged banking market consolidation and oversaw a cleaning up of balance sheets through the Financial Sector Reform Program of 2004–08. Liquidity is good, and although a decline in some loan sectors—notably real estate—will negatively affect asset quality, Fox argues there will be no need for any major cash injection. The loan-to-deposit ratio is around 52%—modest, given that in many Gulf states it is over 100%—and capital adequacy ratios are well above Basel II requirements. The aggregate nonperforming loan ratio is around 14.5%. All the signs point to the sector’s continuing to follow the defensive strategy it adopted in response to the global downtown, with the main concern being over the extent to which the financial sector’s risk-averse lending practices crimp Egypt’s economic recovery prospects. This generally benign outlook didn’t prevent Moody’s from revising its outlook for the sector to negative in April, citing fears that its profitability would come under pressure as a result of the “elevated political uncertainty.” Certainly, in the absence of foreign lenders, local banks will have to help finance more government debt. Given the sovereign downgrades, doing so will naturally have an impact on the banks’ asset quality. They will also have to put on hold the ambitious consumer banking plans that many banks had already unveiled, mindful that although deposits have held up, consumers will resist innovation during the current period of uncertainty. Investment banks have also been having a quiet time of things: IPOs in particular are expected to remain scarce. “This will be a year of consolidation: People are really just waiting to see what happens,” says Helal, although he notes that some investors are already taking steps to boost their business activity. Among them is the China Development Bank, one of the five largest banks in China, which recently signed a MoU with CI Capital to cooperate on future infrastructure projects—including some financed through public-private partnerships—as well as to share information on project and trade finance and project appraisal. “The timing of this is very significant. It shows the Chinese are keen to become big investors here and support the new Egypt,” says Helal. The key to Egypt’s future, however, remains the politics. With many political parties still at the formative stage, the political scene remains clouded by uncertainty. What does seem certain is that while the presidency will retain significant power, that of parliament will be enhanced, which means individual parties will have more responsibility for how the country is governed. So far at least, Egyptians remain resolutely secular, with the Pew poll finding only limited support for fundamentalists such as the Salafists while only 17% wanted the Muslim Brotherhood to lead the next government. Much can change over the coming months, during which the position of the Brotherhood—established in 1928 and now the largest and best-organized grouping—can be expected to strengthen. Investors will be hoping it acts like a moderate Islamic force, akin to Turkey’s AKP (center-right Justice and Development Party,) rather than succumbing to the blandishments of its more extremist elements, who appear to identify Hamas as their model. Most likely, the election will produce a coalition. More certain than its composition will be its priorities, namely ensuring the return of stability and confidence to the economy. Growth is expected to return next year, but at around an expected 4% it may not be sufficient to ensure that the feel-good factor enjoyed by Egypt’s wealthy trickles downward more effectively. “The biggest problem of the NDP’s reforms was that they did not allow the majority of the population to feel the benefit—this must change,” says Karin Maree, Egypt editor at the Economist Intelligence Unit. Cairo will be looking to investors at home and abroad to help ensure that the New Egypt inaugurated by the Arab Spring really is different from the old one.